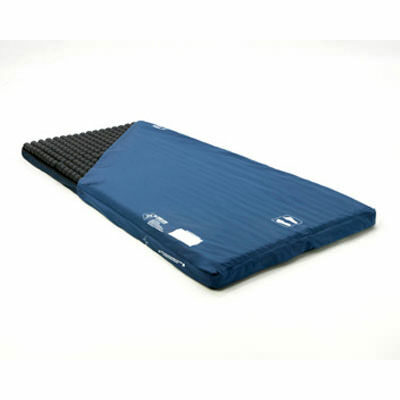 Roho® sofflex® 2 mattress overlay system provides a solution for individuals who require skin/soft tissue protection through its non-powered, multi-zoned, air-adjustable approach. 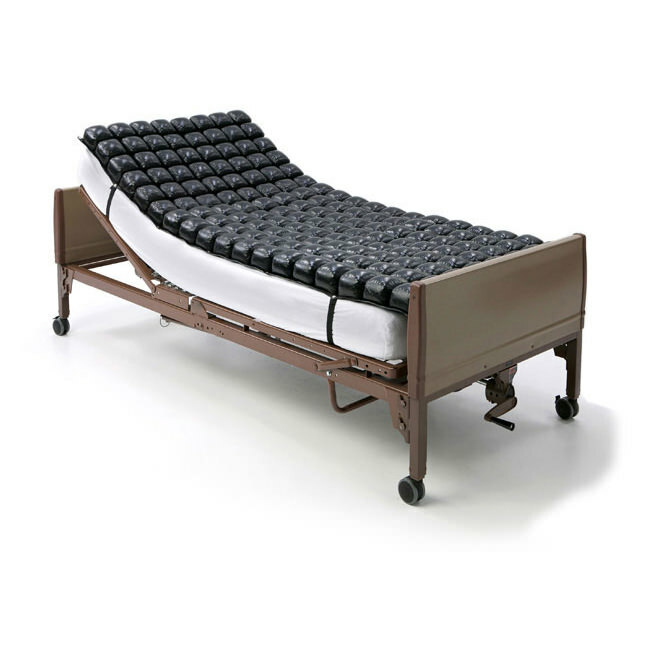 Sofflex® 2 medical mattress caters to the therapeutic needs of users as it can be adjusted to match the individual’s body contours with the help of flexible, interconnected air cells, providing individualized therapy and critical skin protection. 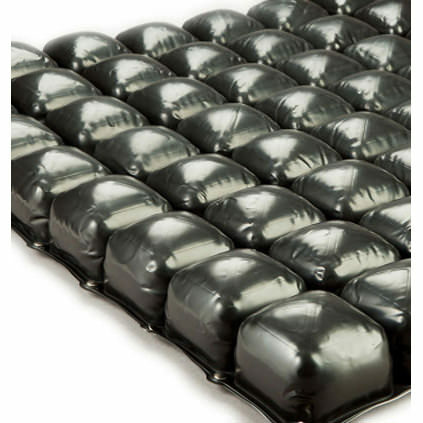 Sofflex® 2 has three sections for an individualized fit, each of the easily snap together to form a complete mattress overlay and can be adjusted per body segment to address the specific needs of the individual’s body shape and size. Dimension (3 sections, W x D x H) 36" x 81.75" x 3.5"
Dimension per section (W x D x H) 36" x 27.5" x 3.5"
Weight per section 2.25 lbs. The manufacturer provides a limited 18 month warranty with this product. The manufacturer covers any defects in materials or workmanship of the product. Any substitutions of supplied components will void the warranty. Any manufacturing defects within 18 months from the date the product was originally purchased, with the exception of the cover (which has a 6 Month Limited Warranty) is covered under warranty. 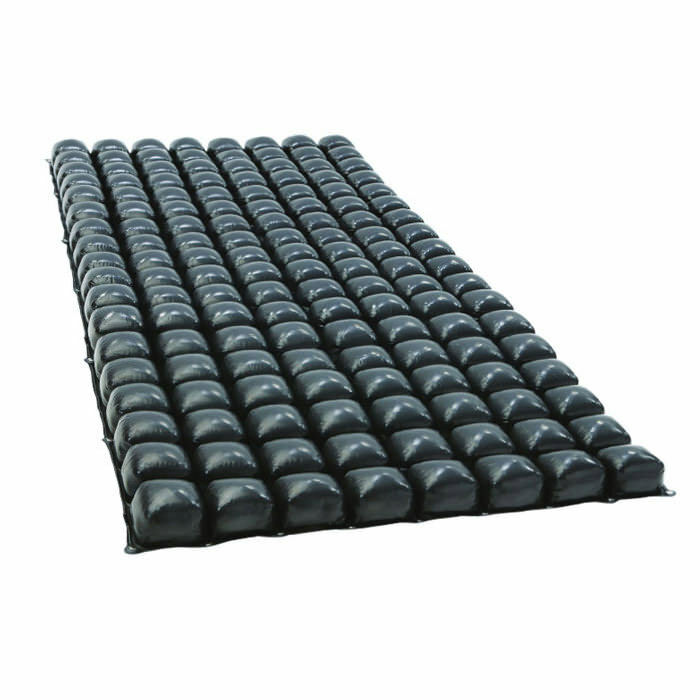 -- Please Select --SOFFLEX2 (3 sections) with Reusable Cover - 36" x 81.75" x 3.5"SOFFLEX2 (3 sections) with Enclosure Cover - 36" x 81.75" x 3.5"